Windows XP Black Edition v2009.4.19-ის დაკოპირებული CD ვერსია. აქვს Corporate Edition Volume License x86 რომელიც განახლებულია მაისამდე და ინტეგრირებულია SATA/RAID და ACHI დრაივერები, დრაივერებთან აქვს ულამაზესი ვიზულაური სტილია ResPatch Black-Dark Aero Black Final 4.3. სერიული ნომრის შეყვანას და გააქტიურებას არ საჭიროებს. ვინდოუსის ერთ-ერთი განსაკუთრებული თვისება ის არის რომ ვიდნოუსი გააქტიურებულია ოფიციალურიად ოფიციალურად Microsoft Genuine-ს მიერ, რაც განაპირობებს ვინდოუსის სწრაფად და სტაბილურად მუშაობას. 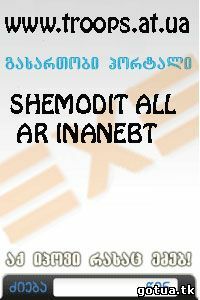 დისკის იმიგი რეკომენდირებულია რომ ჩაწეროთ ამ ფირმის დისკებზე: Verbatim და TDK მინიმალური სიჩქარით, რეკომენდირებულია Nero, Alcohol 120 %. Windows XP Themes "ChaNinja Style RC5" & "Luna Element Black v5.1 + CSS" & "Zune Noir v1.0". Extra Website Links in the Windows XP Favorites folder. Keyfinder v1.51 (Windows XP KeyChanger) with original working CD-Keys. Windows XP Service Pack 3 (KB936929) v5.1.2600.5512. Windows Genuine Advantage Notifications (KB905474) v1.9.0040.0. Windows Genuine Advantage Validation (KB892130) v1.9.40.0. Windows Genuine Advantage Notifications Crack for v1.9.40.0. Windows Genuine Advantage Validation Crack for v1.9.40.0. Microsoft & Windows Update v7.2.6001.788 . Microsof Update Catalog Web Control v7.0.6000.569. Microsoft .NET Framework en-US v1.1 + SP1 + KB928366. Microsoft .NET Framework en-US v3.5 + SP1 + KB959209. Microsoft Visual C-family v1-v9 Runtimes (CRT/MFC/etc.). Microsoft Visual Basic v1-v7.1 Runtimes. Microsoft DirectX v9.26.1590 (including DirectX for Managed Code for "Microsoft .NET Framework v1.x"). Microsoft Windows Rights Management Services Client (KB917275) v1.0 + SP2. Windows Feature Pack for Storage (KB952013) v1.0. Windows Malicious Software Removal Tool (KB890830) v2.9. Windows XP Security Update for CAPICOM (KB931906) v2102. Windows XP Root Certificate (KB931125) Update February 2009. Windows XP exFAT file system driver update package (KB955704). Windows XP User Profile Hive Cleanup Service v1.6d. Windows XP GDI+ Detection Tool (KB873374) v1. Windows XP Powertoy - Alt-Tab Replacement v1.0. Java SE Runtime Environment (JRE) v6 Update 13. Open Command Prompt Shell Extension v1.2.0. Foxit Reader v3.0 Build 1506. K-Lite Mega Codec Pack v4.7.5. QuickTime DirectShow Source Filter v1.7.0.6.